This is the true face of CT, has now come true! You are here: Home › News › This is the true face of CT, has now come true! 16 Responses to "This is the true face of CT, has now come true!" 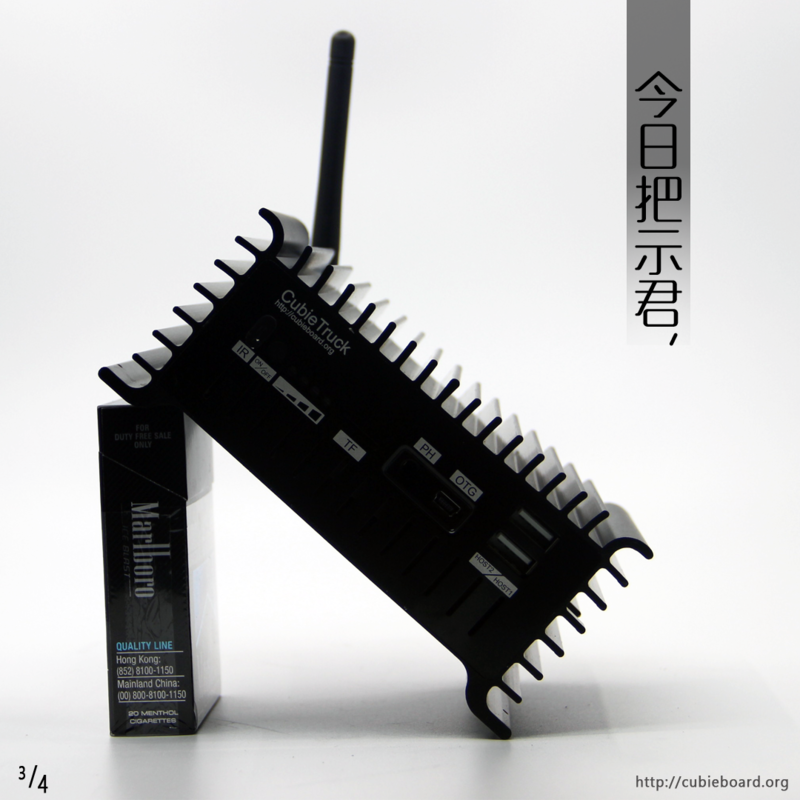 Is this the new cubieboard? IS ANYBODY OUT THERE FOR ANSWERS ABOUT THE QUESTIONS??? 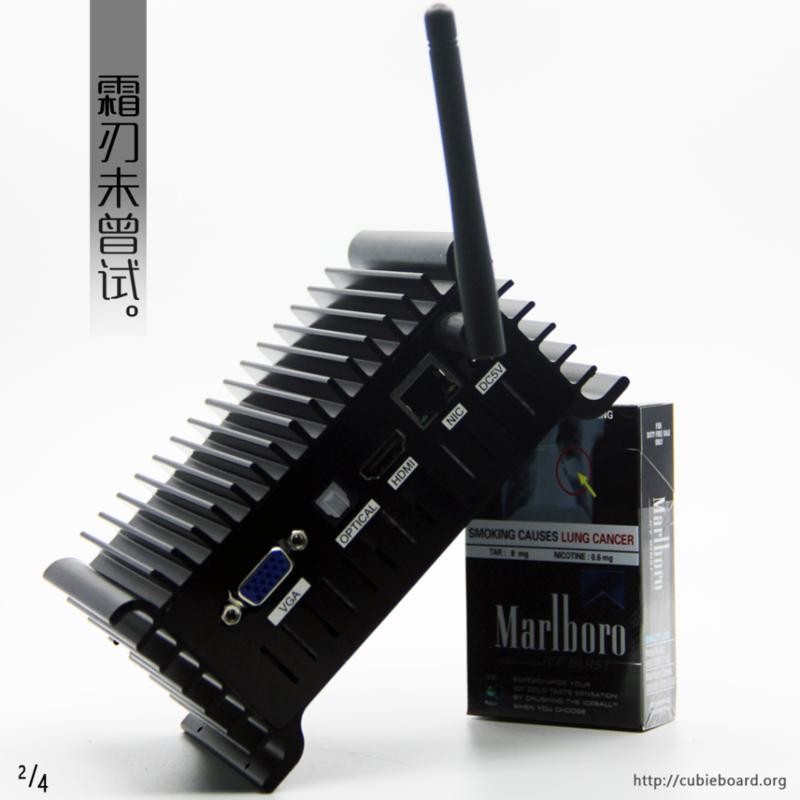 NO, it is a metal enclosure for cubieboard3(cubietruck). We design it for mini server application area and industrial control field. When can I buy this case, in the summer when it was very hot in the old plastic case HDD warmed above 60 degrees. It will available very soon. we are preparing the packaging these days. Which country are you in? you can look for the local dealer in your country. Is the CubieTruck A80? What’s news for Cubie Truck 8? 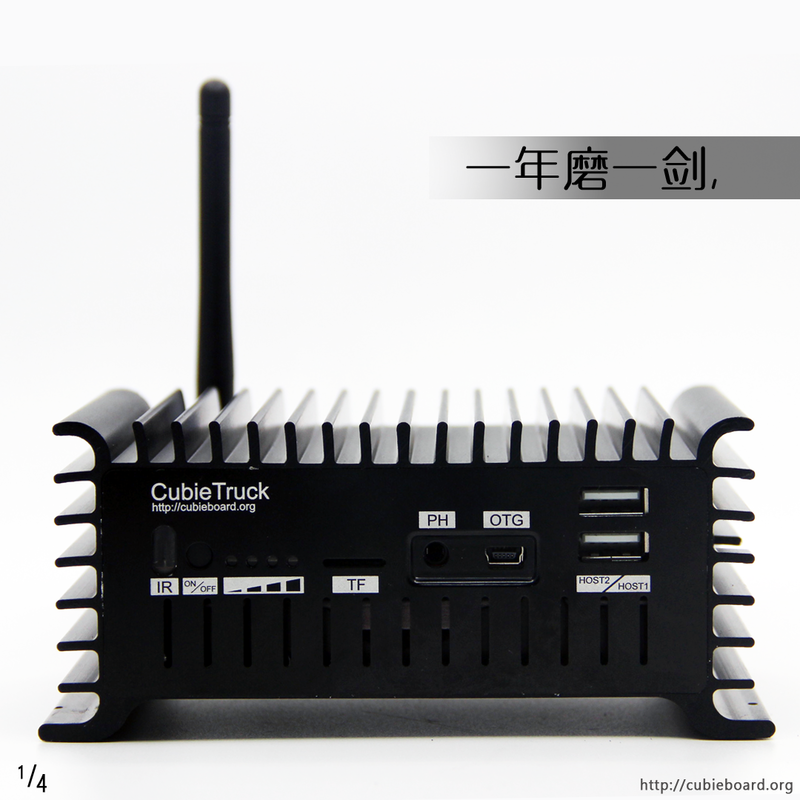 No, it is for cubieboard3(cubietruck). Very good where can we buy it when is it available? thank you! we need to wait some days. about 3 weeks later. The case new box tame the motherboard and hard drive 2.5 “? The predecessor case the hard disk is heated to 60 ° had to put a fan on the bottom when will go on sale? yes, it’s a metal case, so it needs external wifi antenna. yes, it can hold a 2.5 inch hdd or ssd. And a Li-battery (5300mAh) is also supported for UPS. 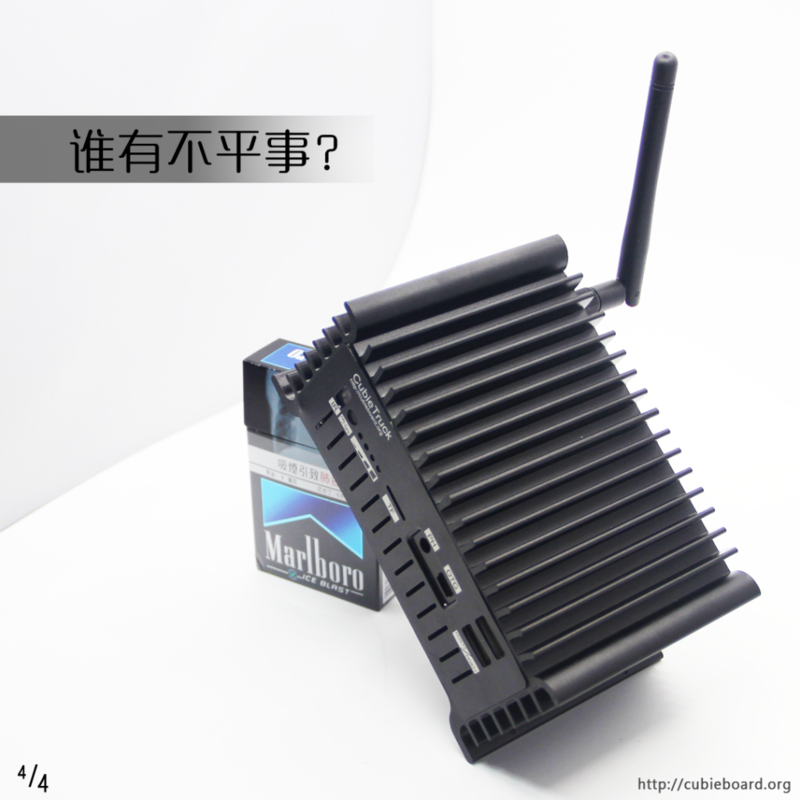 No, it don’t need fan because we have considered a lot of the heat dissipation issues.